Otters, already considered one of the most charismatic mammals, have added a new act to their bag of tricks - juggling. 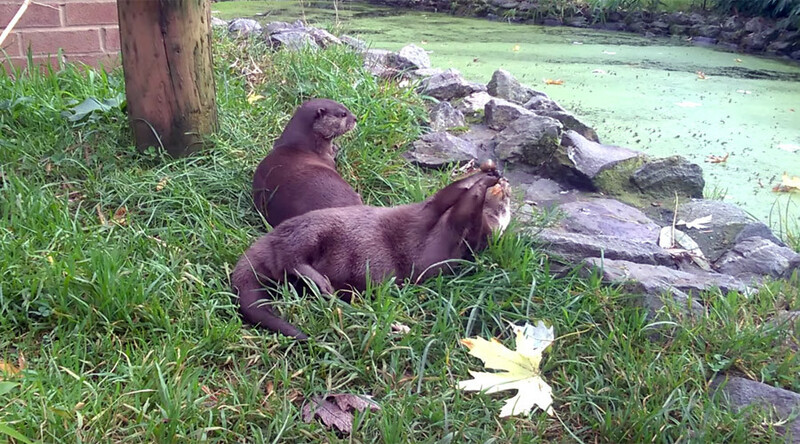 Two Asian small-clawed otters were caught on video juggling pebbles at the Birmingham Wildlife Conservation Park. Their carefree attitude doesn’t reflect their “vulnerable” status in the wild, according to the IUCN Red List of Threatened Species. The mammals join the list of talented species, which have mastered the art of juggling including octopuses, monkeys, and this dog, which could be signed to the Premier League next year by the looks of things. They live on a diet of mussels, fish, and crab - and it appears that cracking open shells helped make their little claws nimble enough for juggling. If they took their act on the road, and teamed up with this stick-twirling bear, it could make for a very entertaining show.